You can start your lights quickly and let them run as long as you need to when you’re using T12 single pin lighting from MEBULBS™. T12 fluorescents have been around since the 1930s, and some people think their time has passed. But our industrial quality T12 lamps for single pin fluorescent lighting fixtures use the latest designs and manufacturing methods to show they’ve still got plenty of light left in them. Also known as instant start lights, these linear tubes are perfect for everything from offices to manufacturing plants. We stock a full line of single pin fluorescents from F48T12 up F96T12 to make your lights look like new at all times. Standard single pin lamps are poorly constructed and have a number of issues, including harsh yellow light emission, significant output loss due to end blackening and burnouts in as little as six months. 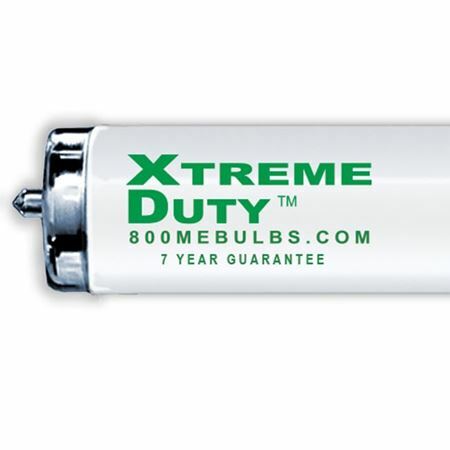 MEBULBS Xtreme Duty™ single pin fluorescents are almost like a different species in comparison. Our exclusive Xtrabrite™ and Vitalux™ color technologies give you brighter, whiter light at any color temperature that is more natural and thus easier on the eyes. Cathode shields practically eliminate end blackening to help maintain brightness as they age. Seeing as our T12 single pins are guaranteed for up to 10 years, you’ll be glad they stay bright that long. 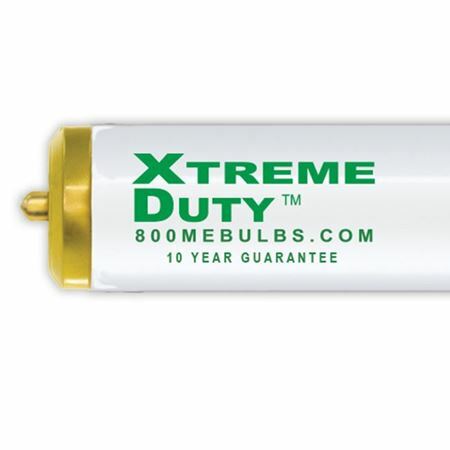 Everything about MEBULBS single pin fluorescents, from the Extended Life Phosphors that resist color shifting to the alumina oxide coating that allows them to use less mercury, is designed to do three things: give customers better lighting, save them money and be better for the environment. 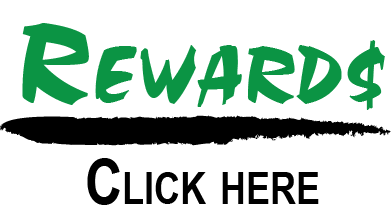 It’s what our company has been about since 1974, and it’s what we’ll continue to be about for as long as we’re around. The next time you need premium lights for industrial or commercial applications, shop our online store or contact our knowledgeable representatives. We’re here for you from Maine to Alaska and everywhere in between.